Recently I edited/compiled a horror anthology called Fresh Fear: Contemporary Horror. 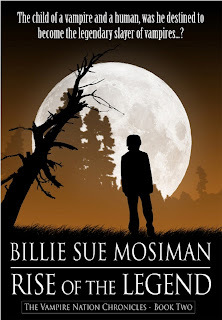 Billie Sue Mosiman was one of the first authors I approached as I have been a fan of her work for years. I was very pleased when Billie Sue submitted a story called ‘Verboten’ for my anthology, and what a great story it is too. The first time I ever encountered her work was in Robert Bloch’s anthology ‘Psycho Paths,’ and then again in his next anthology ‘Psychos. ‘A Determined Woman,’ is the first story I read of hers and is still one of my favorites alongside ‘Interview With A Psycho,’ which blew me away. It’s one of the best dark psychological thriller stories I have read to date. The impact of the story stayed with me for a while and not just because of the subject matter, but because of how good the story actually is. 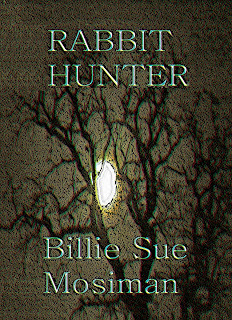 Billie Sue can write and it’s no surprise considering that she has so many novels and collections published over the years. As Robert Bloch, author of Psycho and American Gothic, says about her novel Night Cruise[ing]: "A journey into the darkest recesses of the human mind...uncanny, unsettling, unforgettable." Billie Sue Mosiman is a thriller, suspense, and horror novelist, a short fiction writer, and a lover of words. Her books have received an Edgar Award Nomination for best novel (Night Cruising) and a Bram Stoker Award Nomination for most superior novel (Widow). She has been a regular contributor to a myriad of anthologies and magazines, with over 160 published short stories. 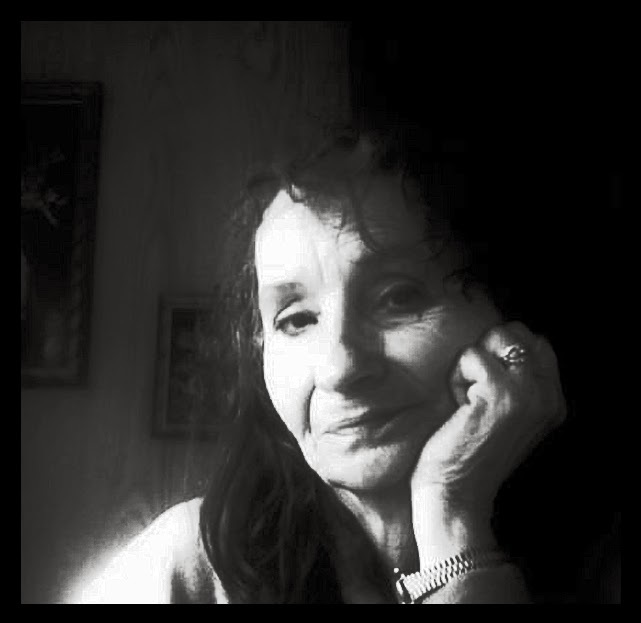 Her work has appeared in such diverse publications as Horror Show Magazine and Ellery Queen's Mystery Magazine. She taught writing for Writer's Digest and for AOL online. Billie Sue’s latest work in paperback and Kindle digital is SINISTER-Tales of Dread, a compilation of fourteen new short stories all written in 2013. 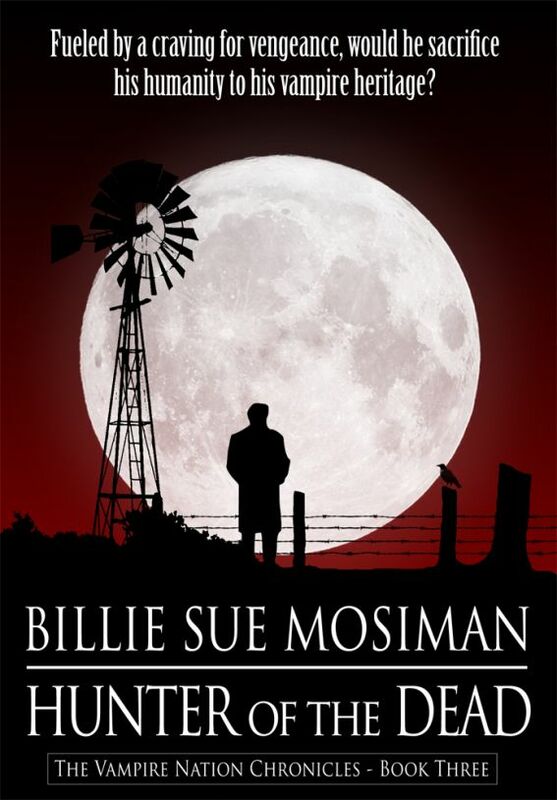 “Billie Sue Mosiman’s novels are edge-of-the-seat all the way!” Ed Gorman, award winning author of BAD MOON RISING. February is ‘Women in Horror’ month and Billie Sue is one of the leading ladies in psychological horror; she has kindly agreed to do an interview and without further ado, here it is. 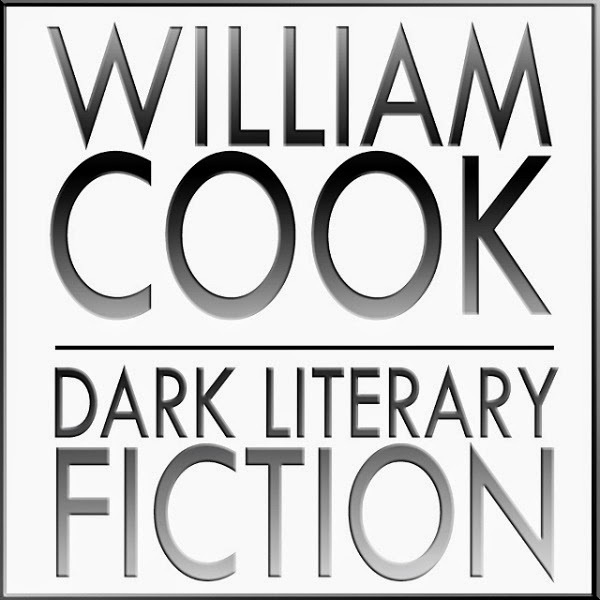 Q: When did you first decide to become a writer, in particular a writer of Dark Fiction? Was there any one thing, or person, that influenced you to write your first story? A: I was thirteen, apparently, since I wrote in my diary at that time, “I want to grow up to be a writer.” There wasn’t any one thing or person that influenced me to write my first story. I found it once. It was written in pencil on lined paper and involved some young people living around Paul, Alabama where I often lived with my grandparents. 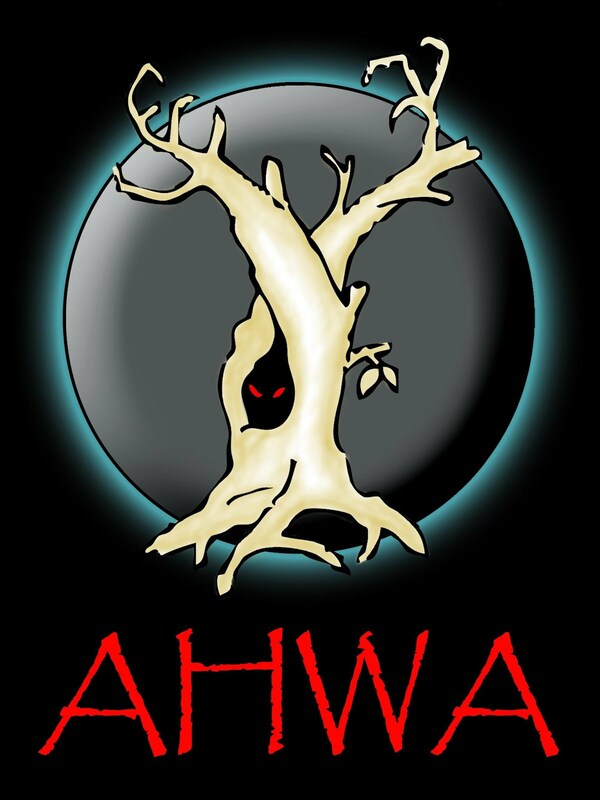 I think my work might be dark fiction because my childhood was often dark, there were volatile people around me, and of course I was steeped in superstitions and stories from the dark woods of Southern Alabama. Q: You have been writing for many years now and have had many novels and collections published, do you think that your writing/work is more popular now than it has been in the past? If so/not why do you think that is? A: I don’t think I’ve ever thought about that. I think my audience has been kind of steady over the years. It’s helped to have digital copies now so more people can find and afford my work. Where before readers had to wait for a new novel to appear every two years or a new magazine I had a story in, now they can go to Amazon and find so much of my work at their fingertips. Also, instead of paying close to ten dollars for a paperback, they can pick up a novel for four. That opens everyone’s work to the large audience of readers out there. I think that’s marvelous. Q: In 2011 you self-published a novel (‘Banished’), the first novel you have published yourself; why did you decide to follow the self-publishing route? Did you find it a different process than writing for a mass market press/publishing house, like you have done in the past? A: In 2011 it was a revolution. Literature and the method of conveying it to the reader had changed. I’d written a novel that was unlike what I’d done before. 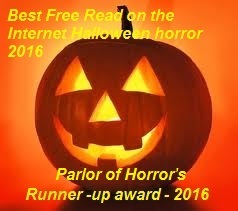 If it wasn’t suspense or horror I knew publishers would be reluctant to take it. I decided to join the revolution and see what happened. I’ve been pleasantly surprised. I went straight for the readers and it was a lot of fun. 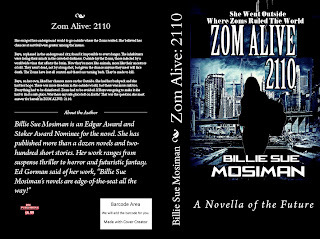 I had a professional cover made and the book looked over by a professional and just hit that button! It was a completely different process than working with mass market publishers out of New York. I had more freedom. I didn’t have to worry about the book appearing in bookstores and outlets maybe for a month and disappearing. I’d have that book [appear] before the public in a way [that was] easy for them to purchase day and night, for as long as I wanted it out there. I had more control. It was an interesting and profitable venture. Q: As it is ‘Women in Horror’ month, who are your favorite female authors of dark fiction? Do any of your favorites have an influence on your own work or inspire you in any way? A: Mary Shelley was the goddess of all things dark with FRANKENSTEIN. 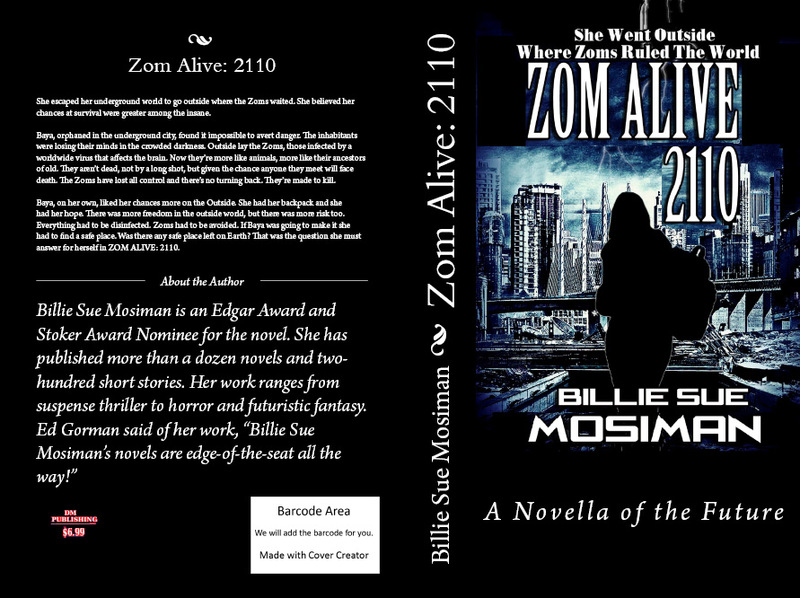 (I wrote a novella continuing her great novel in FRANKENSTEIN: Return From the Wasteland.) She was an influence. Then along came Flannery O’Connor, who isn’t thought of as a horror writer and she really isn’t, but she writes dark fiction and her way of writing it highly influenced me. I wanted to grow up to be Flannery. Next was Patricia Highsmith, who wrote some of the best darkest fiction of suspense-bordering-on-horror that I’d read. She was a “quiet” writer, intellectual, and she spoke to me. 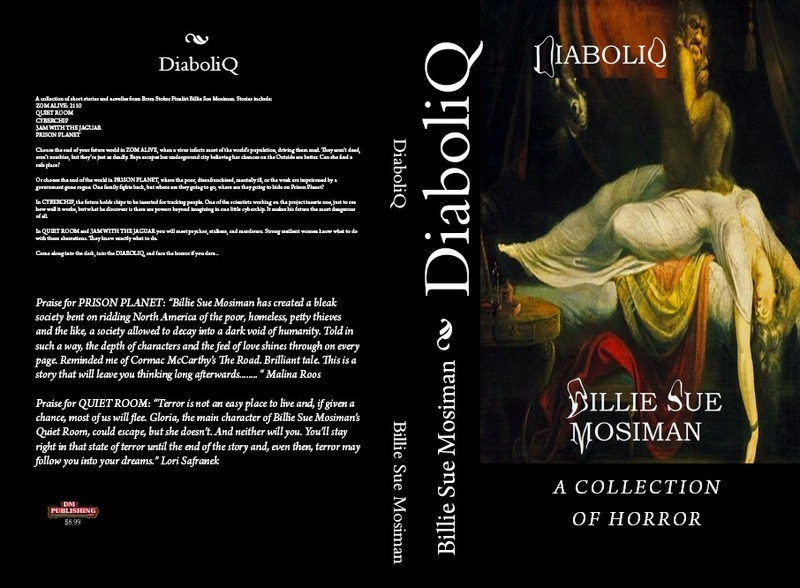 When I first started writing horror stories I didn’t see many women writing it in the horror magazines where I was sending my stories. Due to that I’m afraid I didn’t feel an influence from them; rather, we were all jumping into the Horror Sea and paddling our little lifeboats as fast as we could. At that point Stephen King began to influence me. And some of the best writers in suspense like Robert Bloch, Lawrence Sanders, Richard Matheson. Plus the old names like Jim Thompson, Patricia Highsmith, and others. 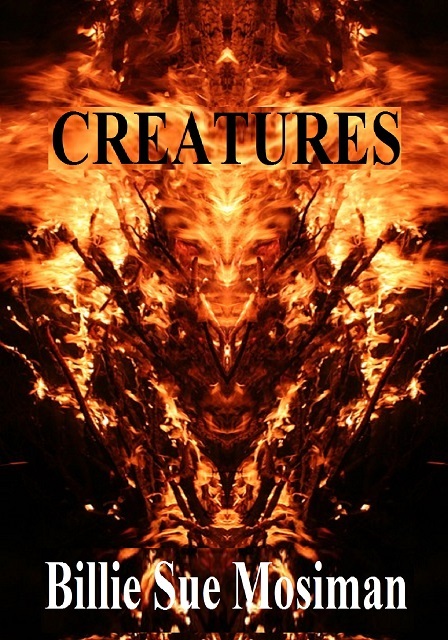 Today I’m watching the blooming careers of new writers in horror and like many of them very much, seeing talent that is much better than I saw back in the 1980s when I started getting published with dark fiction. 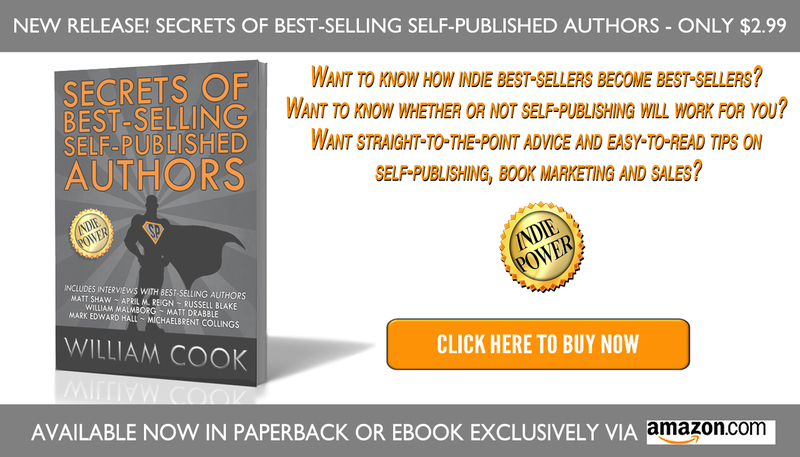 Q: What/who influenced you to switch to self-publishing and/or do you still publish with others (publishers)? 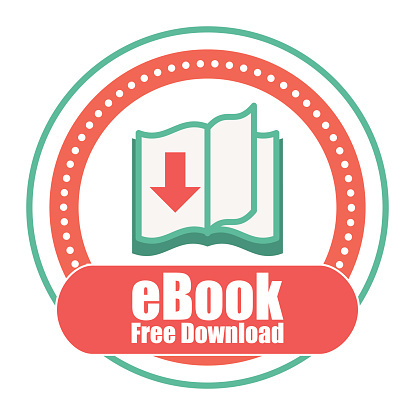 Is the self-publishing market more lucrative for a veteran author such as yourself who has been published by all manner of publishing houses, both big and small? A: I saw Joe Konrath doing it and some other traditionally published authors doing it and I just leaped in. After BANISHED I just self-published my stories, some old and some new. I made sure my legacy novels, most of which you couldn’t buy anymore, were available as e-books. With short stories it’s very lucrative. Many markets today don’t pay enough to waste my time submitting to, but if I self-publish I go directly to readers and make more that way than for a one-payment deal. I’m not all about money, but I’m no fool either. I collected several of my stories into collections to make it easier and a little cheaper than readers having to buy individual stories. Now for my next novel (the only one I’ve done since BANISHED in 2011) titled THE GREY MATTER, I went back to looking for publishers. 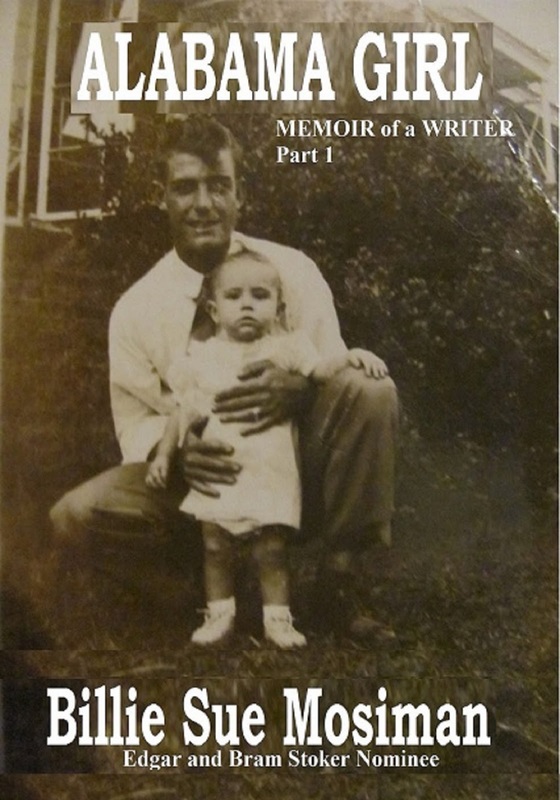 Mainly because it is not outside my usual type of novel I’ve been known for writing. It’s a suspense novel with a touch of speculative future events in it and I wanted to have someone else, an editor and a publisher, handle the whole thing for me. 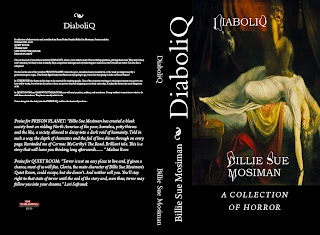 It was taken by Post Mortem Press, who will bring it out in April or May this year. I’m very excited about it and feel it’s some of my best work. In this way I’m more of a “hybrid” writer these days—self-publishing shorts and collections from those shorts, and going with a publisher for novels. 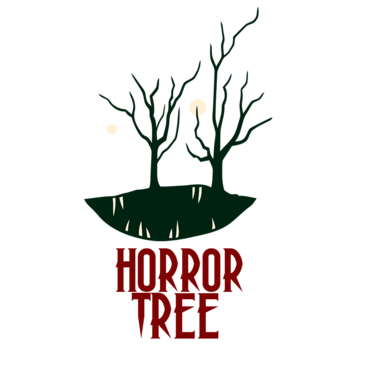 Q: You write in many genres but predominantly ‘Dark Fiction; do you consider yourself a "horror" writer, a genre (thriller, dark fiction, mystery etc) writer, or a writer in general? How does the type of writer you perceive yourself to be have an effect on the way you approach writing, if at all? A: It would probably be best to think of me as a dark and speculative fiction writer. I’ve been known as a suspense/mystery writer and in my long work, the novel, that’s predominately what I’ve written. Of fifteen novels I only got off that path a couple of times, once with a Western (because a publisher asked for one and bought it on a short synopsis) and Banished, the horror-fantasy novel. I really think of myself in two ways—as a horror writer of short fiction and a suspense writer of novels. 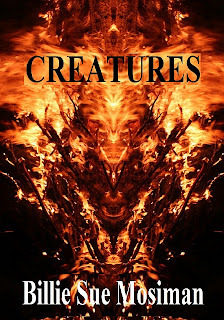 Straddling genres that way may seem odd, but my short work just tends toward horror. Q: Quite often you write about serial killers and psychopathic personalities; how do you prepare/research for these stories and how much influence do other sources (i.e. True Crime, Non-fiction texts, Newspaper, Media etc) play upon/inform the development of your characters’ behaviors? A: I spent years studying serial killers, the real ones, and abnormal psychology. I informed myself on the character and typical actions of those killers. From the writing of WIREMAN forward the serial killer intrigued me so I wrote several more novels about them. Male and female serial killers (WIDOW), killers who were so damaged and deluded they thought they had been abused and yet who had only been loved and couldn’t accept being a person who was loved (SLICE, which I retitled KILLING CARLA), killers who wanted revenge (STILETTO), killers who were young and psychotic (DEADLY AFFECTIONS, which I retitled MOON LAKE), and so forth. Damaged and disturbed personalities was the well from which I drank, trying to understand them, seeing them without blinders, and getting into their heads. I read tons of non-fiction books on people who kill, on psychopaths, and on family dynamics when there is a disturbed person affecting the unit. Now, with THE GREY MATTER, I have a serial killer, but he isn’t the focus of the novel. It’s focused on four young people who are castoffs from society who come together as a family and are menaced by the serial killer. I am on my familiar stomping ground, with some very wicked twists. 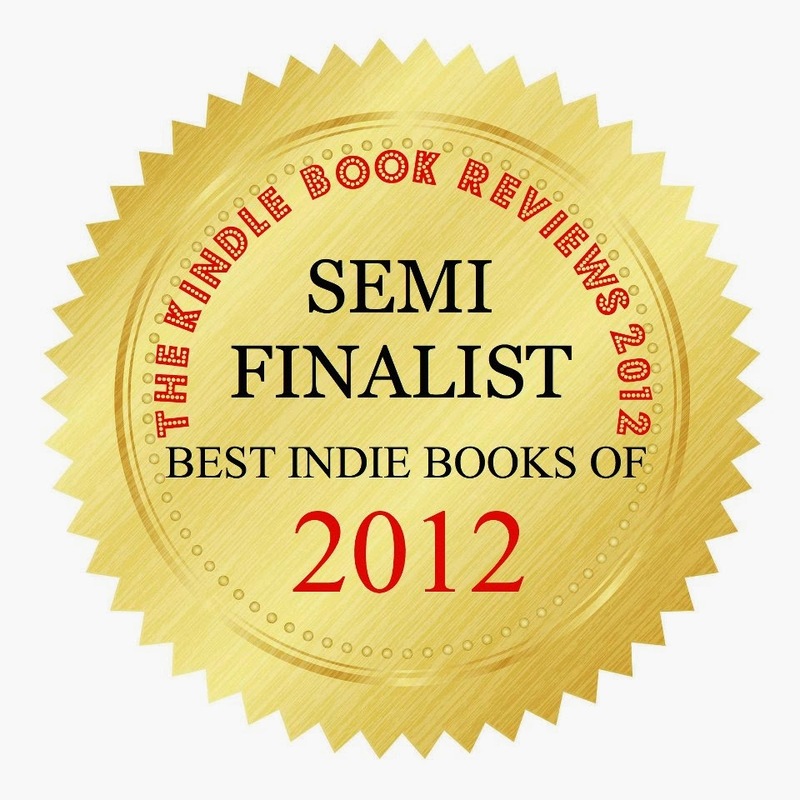 Q: Before you published ‘Banished’ in 2011 you have stated elsewhere that you had “finally overcome the dreadful writer's block that left me impotent to write.” Can you please tell us what led to your writer’s block and how you overcame it and also why you switched from traditional to self-publishing at this point? Were the two events (beating writer’s block and switching to SP) a result/consequence of each other? A: My parents moved in with us. They’d sold their marina, which they couldn’t handle any longer, and were looking for a house near where I lived. My mother, who was a master manipulator, began suggesting they spend their money expanding my home for them to live with me. 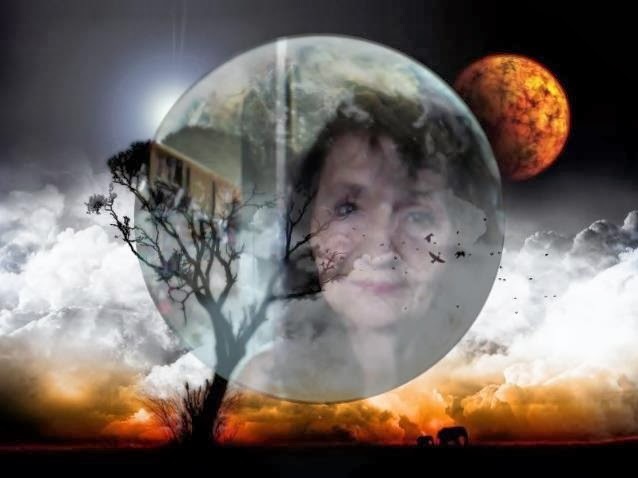 I had a lifetime of trying to understand my mother, who was mentally ill. She was an untreated victim of bi-polar and narcissistic personality. Once they moved in next door, as we separated our house into two distinct living spaces, my life became hell. I tried to write. I wrote several different novels and an autobiography that died halfway and went unfinished. My emotional state was not strong enough to write and at the same time deal with my parent, who were slowly having worsening health problems. My dad had Alzheimer’s and diabetes. I had to start taking him to doctor visits and help Mom with him. My mother’s furious episodes of anger grew worse. She finally was diagnosed with lung cancer and didn’t get treatment. My father died, and then my mother’s cancer worsened and I was her caretaker. It was seven or eight years of pure unadulterated hellish nightmare. I simply got blocked when trying to write by about page 150. Novels died and were put away. I stalled. I think I was just trying to survive and there was no room there for my writing life. Jumping into self-publishing with BANISHED had nothing to do with the block. 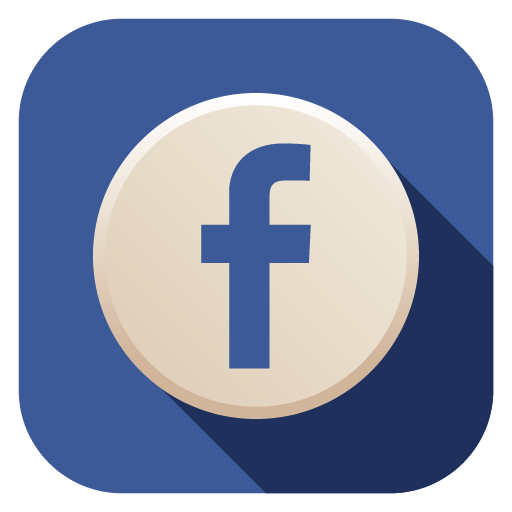 Once my mother died and I slowly came back to myself and my work, the whole digital revolution was happening, people all over Facebook, which I’d just discovered, were excited and publishing works, some good, some not. I wrote my book, published it, and I have been happy about that decision ever since. Those who tell you there is no such thing as writer’s block just haven’t experienced one yet. I defy any writer anywhere to have lived here in my home with my insane mother and my poor, sweet, sad father, take care of them, and still find motivation to write. I dare them. Q: Many of your recent titles/collections are self-published; one would think with a prolific career such as yours that traditional publishers would be waiting in line to offer you contracts. Do you still get offers of publication or interest from the more mainstream publishers? A: I left the mainstream –NEW YORK- publishers behind once I realized they would demand to own, like forever, my digital rights. I understood my digital rights were worth a lot, perhaps more than any of us know today. If I gave them away, for just about any amount of money, I’d kick myself later. I’d have given away rights my family can profit from long after my demise. I went with a publisher for THE GREY MATTER that would not keep my rights forever. I had determined by that time I would never let them go for longer than a certain, spelled-out amount of time. I own those rights. I won’t give them away. I might share them, but I will never give them away. I would rather go with my mainstream smaller publisher any day than let that happen. Writers today still want deals with the 5 NY publishers who are left. Once they realize they can’t negotiate those digital rights for themselves I would think they’d know it’s a raw deal. I never go for raw deals. I protect my creative rights. I’ve no hope NY publishing will relinquish those rights for years yet. One day they might start making more reasonable deals with writers for them, sharing some of the rights, but until them I’m just not interested. Q: Recently you bravely and publicly announced that you are battling cancer, has your illness caused any reflection upon your career as a writer of dark fiction or your direction ahead as an author? A: It has. I look back and haven’t regrets. I wrote from my deepest place, from what interested me and inspired me. I wrote as well as I could. I must leave it at that. As for the future, I’m looking forward and hope to do more noir and suspense writing, even in the short form than in supernatural horror. My direction is changing slightly and I think that’s fine. Writer’s change and if they don’t they stagnate. I write what comes to me and I’m happy with what I’ve done and what I hope to do. Q: Who or what has influenced your writing the most, and in what way? A: Oh, I can’t really name names so much because I’ve learned so many different things from so many writers. But good dark fiction in any genre does influence me. I read them and think how wonderful is that? Can I do anything compared to it? I challenge myself to move forward and try new things in both the way I write and in what I write. 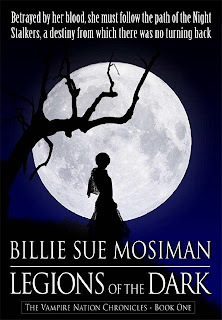 Q: I have read a couple of your novels and a few of your collections but feel that I haven’t even scraped the surface of your prolific bibliography/back list; what one work would you recommend to prospective Billie-Sue Mosiman readers and why? 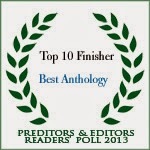 What do you consider your best novel and your best short fiction work? A: Too hard, too hard. How does one pick out an individual baby she’s created from her flesh and from her mind? You might as well ask which of my daughters I love best. I love them both equally. I can tell you the ones I like a lot. I like BAD TRIP SOUTH, because it is about crime, but has a supernatural element. I like BANISHED because I stretched and tried something new. I like NIGHT CRUISE (now titled NIGHTCRUISING) because it was nominated for an Edgar and it’s got a killer in it you grow to understand, and a girl who grows up and faces the horrors of the real world. I like WIDOW because I tackled something new in having a female and male serial killer, then the female comes to her senses while the male begins to commit copycat killings pointing toward her. In stories I like FRANKENSTEIN: From out the Wasteland because I dropped into Mary Shelley’s world and tried to see where it went after the end of her novel. I like INTERVIEW WITH A PSYCHO, that was in Robert Bloch’s PSYCHOS, because I wrote it in homage to the great man. And I like my new collection, SINISTER-Tales of Dread, because I was on fire last year in 2013 and the stories just poured out—all sorts of stories, but all of them dark. That’s where my writing Muse has lived from since the beginning, firmly in the dark fiction dungeon. 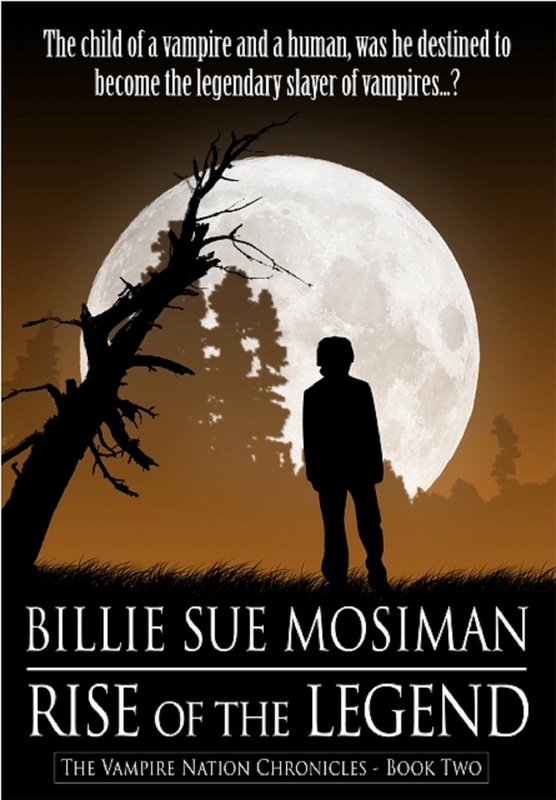 Thank you Billie Sue for such an insightful and informative interview.